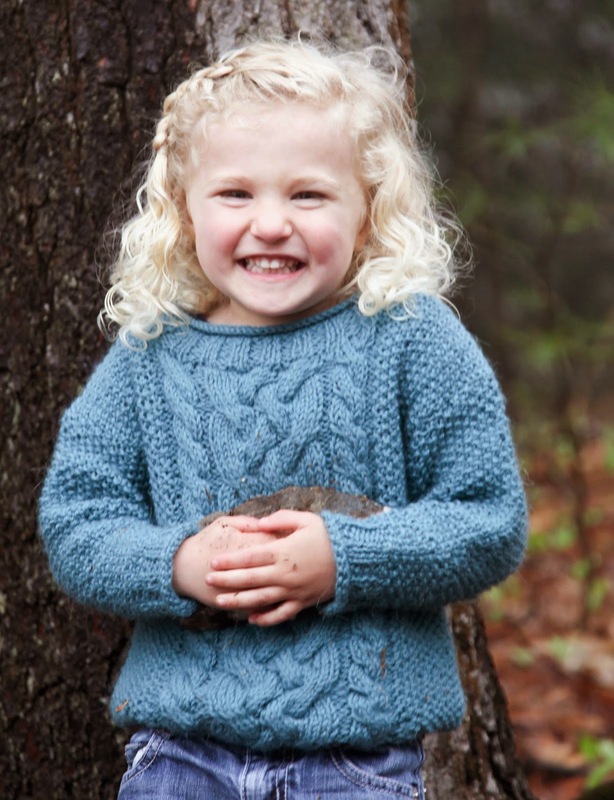 I'll start this post off with another preview of my upcoming Easy Aran Pullover for Babies, Toddlers, and Kids. Here's our little friend Emme. The pattern is almost done folks. I'll let you know as soon as it is up. Now for my adventure. I'm not sure how many of you are into flea markets and collecting. 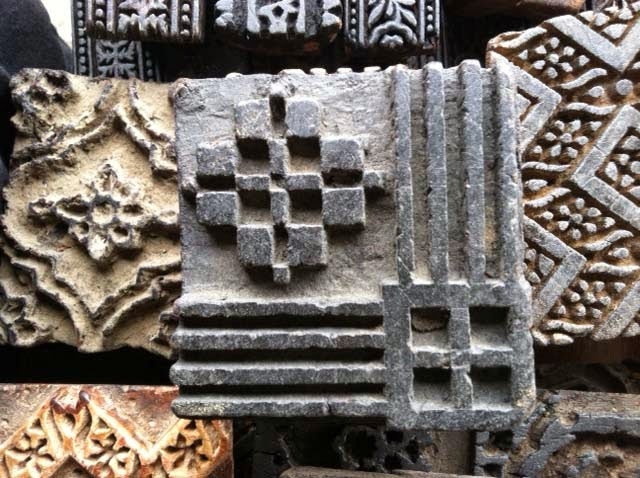 Sometimes when I write a post like this, I feel like maybe I bore you with my love for the colorful and the old. But here goes anyway. My space, my loves! 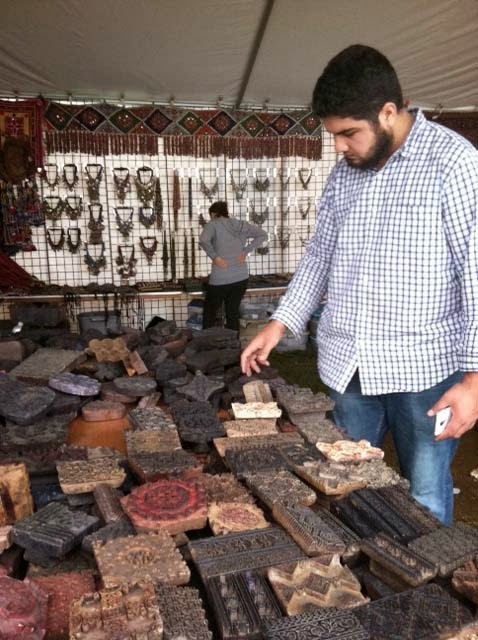 Last Thursday I headed off to the Brimfield Antique Market. I usually go to J&J which is the "best" show (i.e. most expensive stuff) but because of the incoming rain, I decided to go Thursday. I walk around in the mud enough here. I wasn't really looking for anything - I don't need new things but I do love to look at all the old stuff. I didn't take much money with me - I was just going for the experience. Each day different fields are opened. The show changes around as the week goes on - some dealers move to the different fields as they are opening and some just stay put. I have been going to this flea market for over a decade so I know my way around. 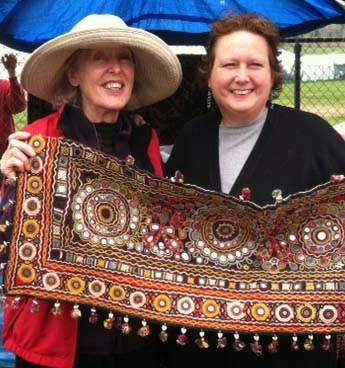 Several years ago, I hit upon a booth run by a woman named Linda who had a treasure trove of antique textiles. 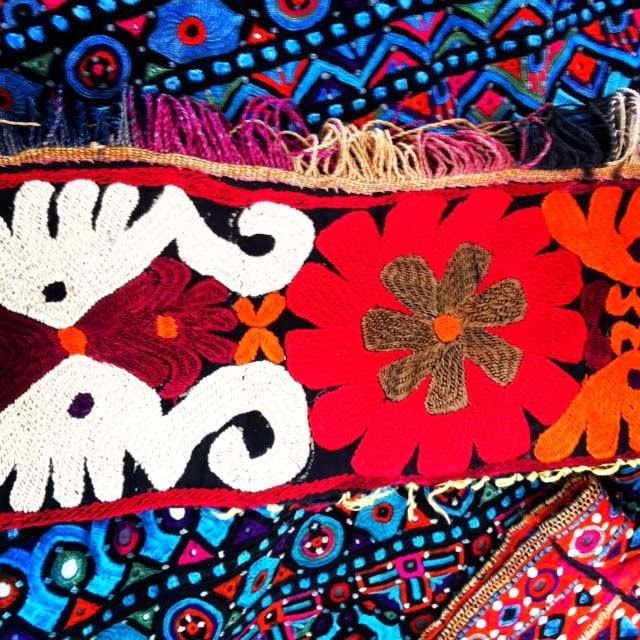 I was in a collecting mood and bought several beautiful embroideries from far away lands. 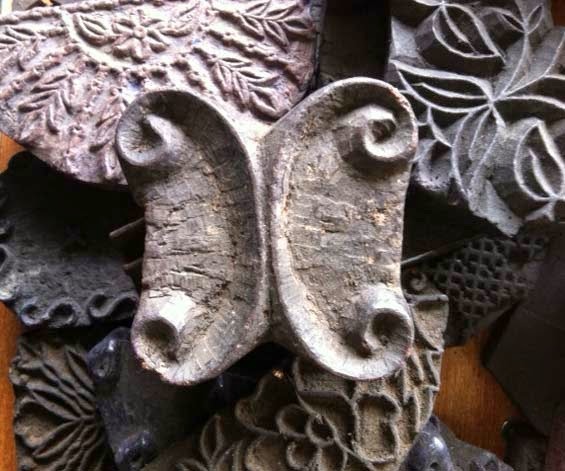 I have used them in the decoration of my home - especially in the library. I only saw Linda once and have looked for her again but to no avail. Linda tipped me off to a booth I shouldn't miss a few spots down from her. Run by two men from Afghanistan, this booth was a gold mine of color and pattern and texture. 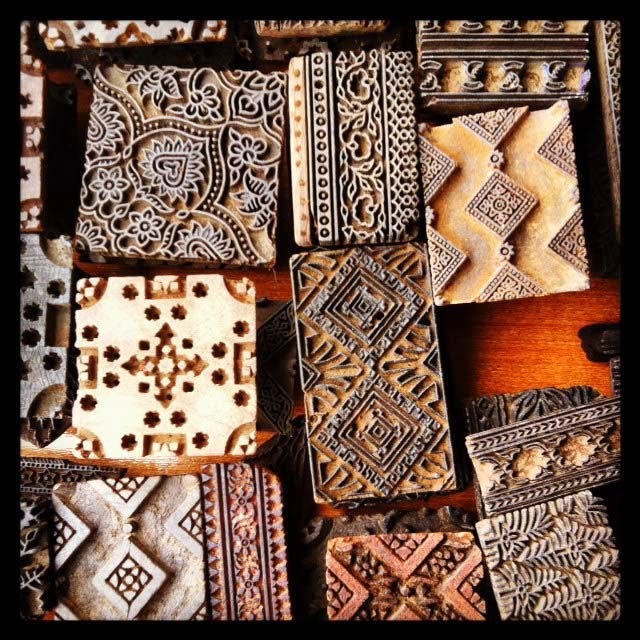 Featuring beautiful embroideries, clothing, etched lassi cups, rugs, beading, and Indian block print wooden printing blocks, I could have stayed here all day. Such beautiful objects. Very nice vendors too. I didn't catch this fellow's name but when I go back to see him, I will make sure I get it. 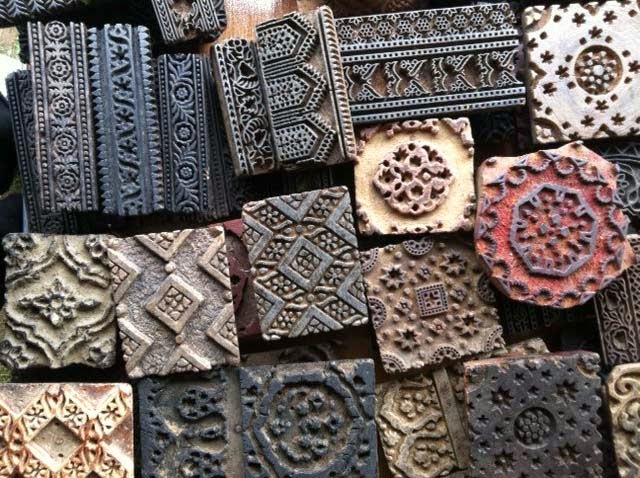 Here are the piles of carved wooden blocks from India which were used for printing fabric. 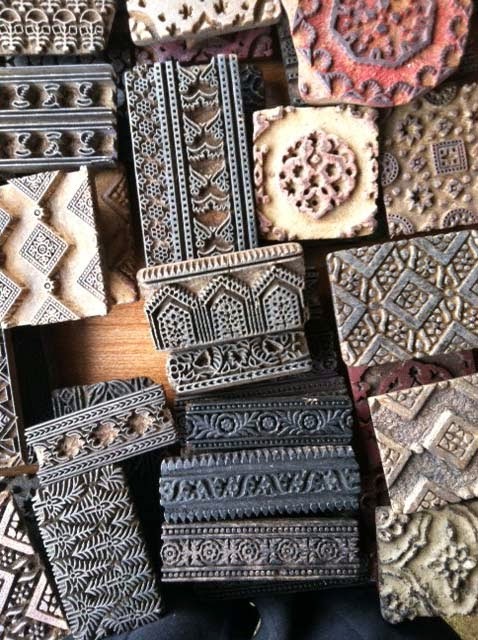 He told me that the textile industry in India is moving away from the traditional block printing method. What a shame. Each was a small piece of art. Many had dyes embedded in them. On one of the other walls, there were beautiful embroidered robes and clothing. 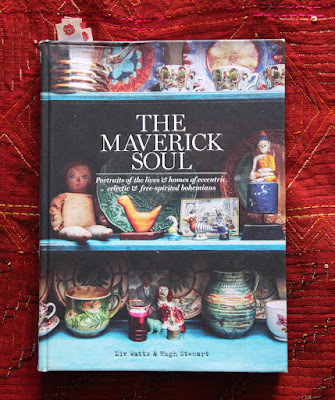 Stunning and so inspirational for me as a textile designer. This piece was all hand-embroidered. 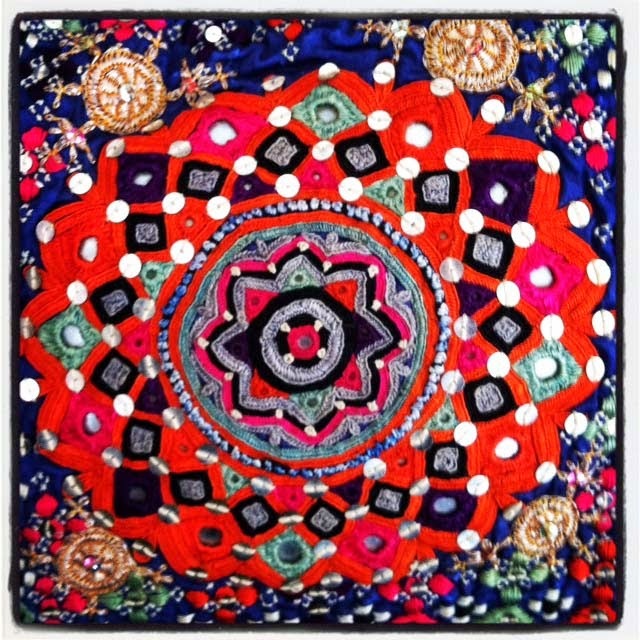 Here is a Suzani border embroidery with fringe laid upon the textile above. I love the interplay of the patterns. 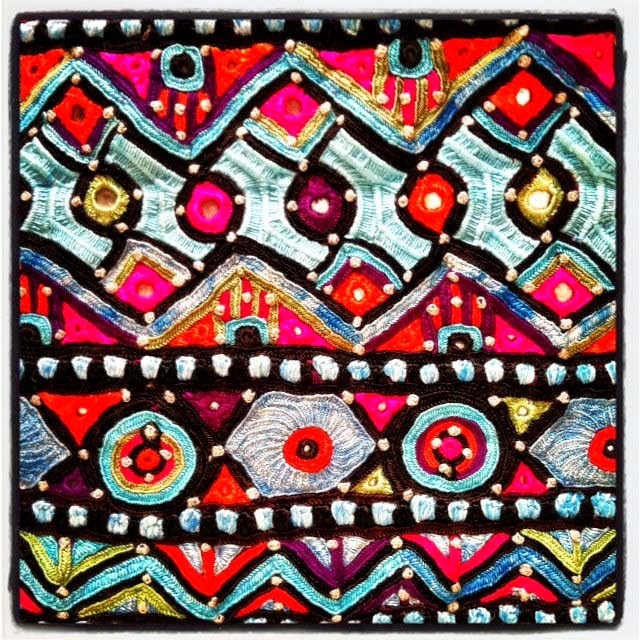 This could inspire the top of a Fair Isle hat. 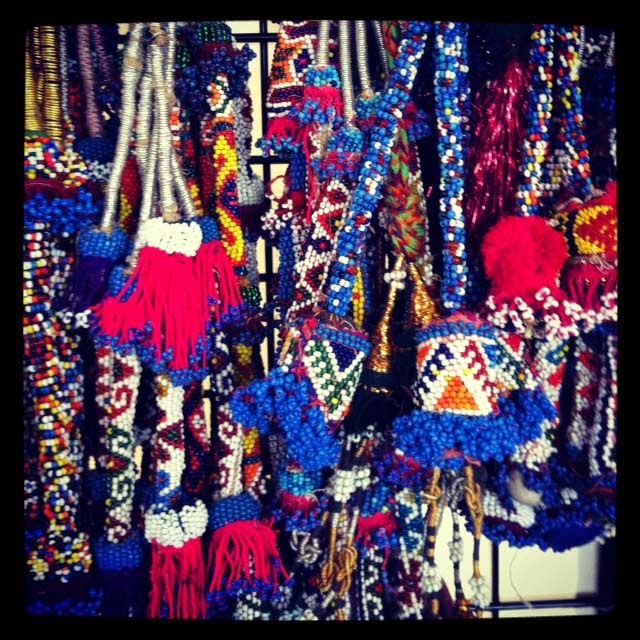 One part of the booth was covered in these gorgeous beaded pieces. I didn't ask what they were used for. Does anyone know? After these two stops, I really almost left. I didn't need to see more because I was so satisfied. It was so early - not even 10:00 - so I had force myself to keep looking. I went to find the booths that are filled with handmade American textiles. This dealer has been in the same spot for years in the Central Park field. 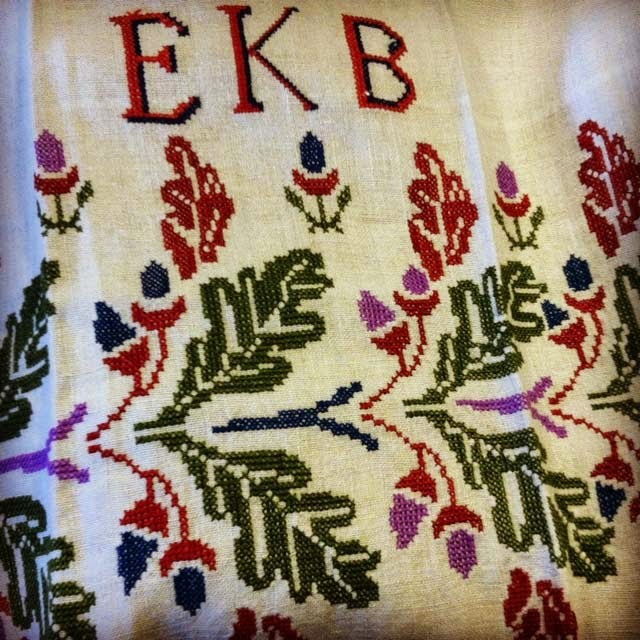 She sells pillowcases (mostly hand embroidered), tablecloths, quilts, bedspreads and more. She comes from the Midwest. Here is a gorgeous cross-stitch tea towel. It had a William Morris vibe to it. Near this booth (also Central Park), I found a rather creative booth featuring found objects turned into hanging lights. Nice. 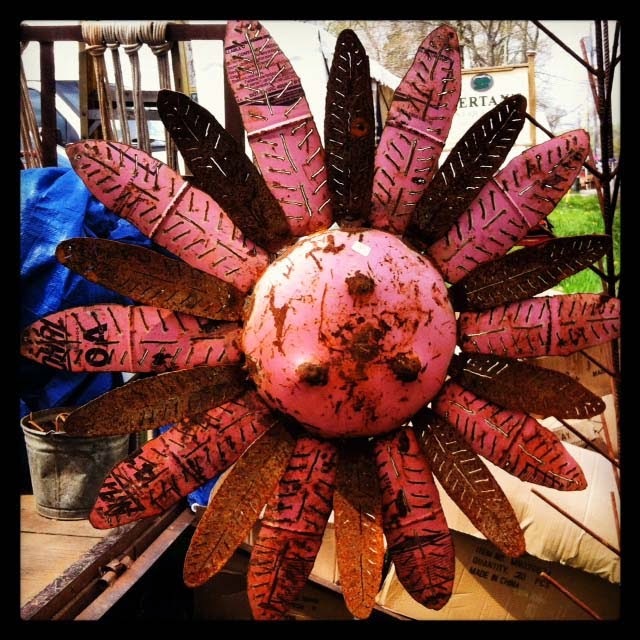 Farther down the road at Hertan's Field I saw these rusted handmade sunflowers. I don't usually go for this kind of thing but I liked these. It started to get hot and crowded and so I decided to pack it in. I had a fun day - all by myself just looking at all the stuff that people sell. 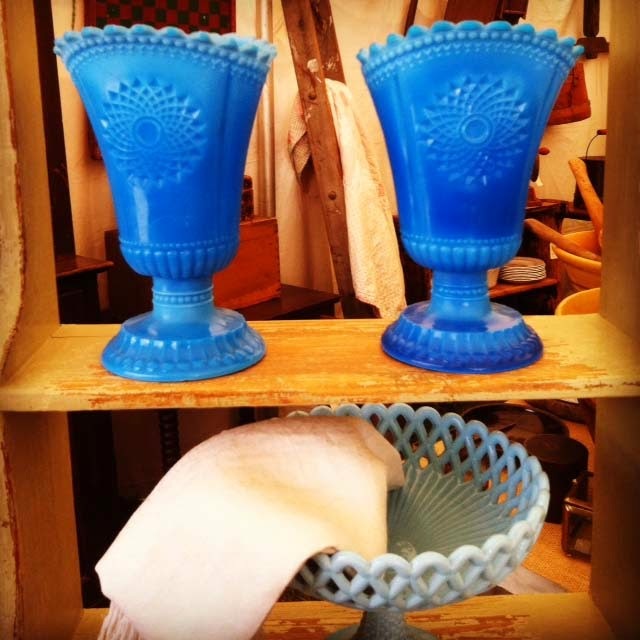 On the way out I saw these pretty blue glass vases. Nice. I didn't come home with much but my appetite was satisfied. I'll go again - maybe in July if it isn't too hot, and definitely in September. Linda"s a regular vendor at my local Sunday flea! I'll tell her how we're connected! (I have a number of rugs and Suzanis I've bought fom here over te last 15 years). Not boring at all!!! My cup of tea!! Love the items you showed us and such beautiful colors and things of detailed art! I have tons of old linens and my kids don't want more stuff! BUT a young woman at our church used them this week along with my teapots for a special bridal shower...she loved them and the tea bridal shower was such a treat!! I may have to hand them down to her!! She also collected all different kinds of teacups and we all drank out of a different one....so pretty!! Wow! Where is this magical place? I'm planning a trip to New England this summer... maybe I'll get to MASS.. Is the market open daily in summer perchance? I. would. have. killed. to. have. been. WITH. You. **THERE**!! Have you ever thought of taking a group there, charging them for your expert eye? I would kill to go to something like this, alas to my knowledge nothing like this in Maryland. love every post you provide. please make cards of these shots. I use them for birthday cards, wishing you well. Beautiful NOT boring! Now that I am retired I hope to go on some "adventures" myself. Thanks for sharing. I've always wanted to get to Brimfield. I'm now inspired to try and get there! Beautiful pictures. Thanks. I love those molds. Would love to have some of those to both display and use. Thanks so much for sharing your experience..so many of us can't get there and it is such fun to live vicariously! 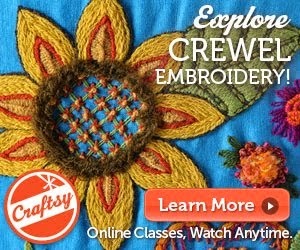 Oh what lovely embroideries! I think I know Linda from Sundays at Todd Farm in Rowley. I've gotten some great things from her, too. 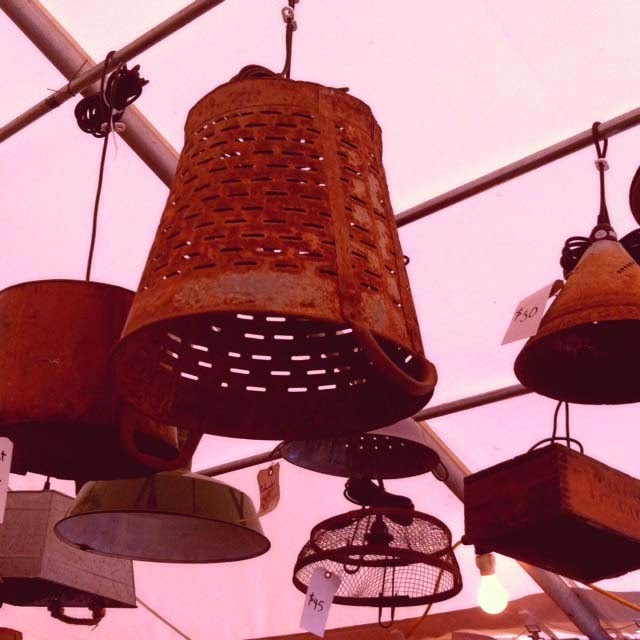 You are making me want to head out to Brimfield again. Haven't been in years. It's always, hmmm which one to go to? Flies in May, heat in July or mud in September? Ha ha, but always worth it. 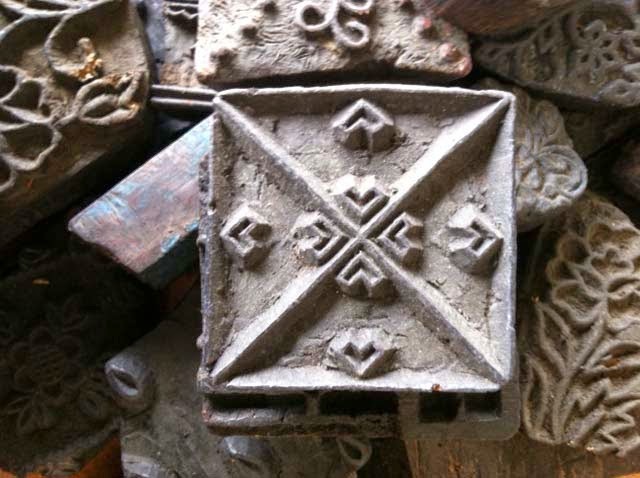 I would buy a bunch of those blocks for printing and use them on my old French linen.